Flexible guide and whole trekking staff. Easy and secure online payment. full board meals during the trek and BB in Kathmandu. Recommended Accommodation in Kathmandu and best available lodge during the trek. Trip Successful certificate after the trip completion. Experienced trip organizer, who has been to Everest base camp trek for more than a decade. Explore the hidden treasure like Monetary, Stupa, seasonal festival, interaction with monks, 1-hour stay in a monastery with lamas during praying every day at Tengboche monastery. One Hour message at the hotel art message after the trip completion. Sublime Trails design the trip cost on the base of win-win position. The operator is happy to provide the mentioned services with the trip cost and clients will feel the value of their money, They will get what they paid for. We have included all the basic things which everyone has to spend to do this trip. we have included like meals during the trek, accommodations, guides, porters, permits, flight to Lukla and return, airport pick and drops etc. We have not included lunch and dinner in Kathmandu because we let our clients explore their own style of food. We don't want to bound them only with us for the whole trip. They can enjoy their sometimes with likeminded trekking buddies or open their apps to google for the best food in town. We provide Hotel Arts in Kathmandu where is message and spa is available inside the hotel. 1 hours message is free provided by Sublime Trails. We provide the best available trekking lodge during the trek where Chimney inside the dining room, clean bedrooms, and clean toilet, Hot shower on demand, safe and hygienic meals, friendly staff, WIFI available. Booking this trip easy, You can send us emails on info@sublimetrails.com, or Whatsapp, Viber or direct call on +9779851183278. Mr. Ram Khadka will talk on the phone who has been to Everest region for more than a decade, So he will be able to give all the necessary info on phone. Lying quite close to the majestic views of the Himalayas, Everest Base Camp trek offers everything for a trekker. It has great trekking trails, wonderful culture and scenic views of the tallest mountain in the world- the Everest. You can enjoy all the perks of the Everest Base Camp on a 15-days trek to this region. 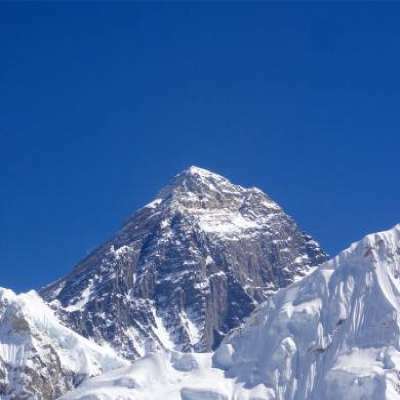 Everest Base Camp trek is the starting point of a mountaineers ascent of the Everest. The Base Camp is in two areas. One of them is called the South Base Camp while the other one is called the North Base Camp. During your trip, you will visit the South Base Camp as visiting the North Base Camp requires a permit from the Chinese Government. Everest Base Camp trek can be completed in a various number of days. You can also complete it in 14 days or 12 days or even 10 days. But the 15 day Everest Base Camp trek gives you ample time to spend time in Kathmandu valley, acclimatize in the Everest region, and doesn’t exhaust your body as much as some other treks would. Your trek to Everest Base Camp will start from Lukla. Then your route to Everest Base Camp will take you to various places like Namche Bazaar, Dingboche, Lobuche, Gorak Shep, and finally to Everest Base Camp. You will also trek further up to Kala Patthar before descending further down. There will be a great change in elevation while you trek in the Everest region. The elevation in Kathmandu is merely 1400 meters. The altitude of Lukla, which is the starting point of your trek, is 2860 meters. From there you will trek all the way up to an altitude of 5643 meters of Kala Patthar. Thus there will be a change of almost 3000 meters during your trek. Trekking at such high altitudes might bring some difficulties if you don’t prepare well. One of the major problems that many trekkers face is that of altitude sickness. To reduce the risks of altitude sickness, you must undergo strength training before your trek. You must also pay attention to proper diet while you are trekking. 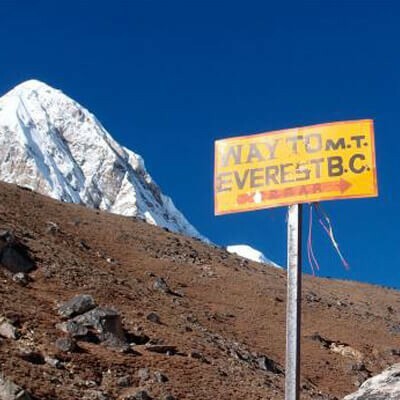 The total distance you will cover in the Everest Base Camp trek is 130 km. This corresponds to 65 km while ascending and 65 km while descending. You will need to build up your stamina by working out for two to three months before you start such a long distance trek. Everest Base Camp trek can be completed all year round. But trekking in some seasons might bring some difficulties as the weather might not suit everyone. Trekking in the Everest region during the summer season can be a bit tricky as the weather conditions are wet. Similarly, winter treks are quite cold as the temperature can be as low as -20 degrees C. Therefore, these seasons are not as popular as Spring (March-May) and Autumn (September, October, and November) treks. There are many mountains in the Everest region that you can see while trekking to Everest Base Camp. Mountains which are over 8000 meters high like Mt. Everest (8848 meters), Mt. Makalu (8463 meters), Mt. Cho Oyu (8201 meters), and Mt. Lhotse (8516 meters) will be visible during your trip. You will also visit Sagarmatha National Park during your trek. It was declared a UNESCO World Heritage Site in 1979. Ever since it has helped preserve of glaciers, mountains, and deep valleys in this region. Many species of birds, animals, and plants have been preserved in this region as well. The people in the Everest region are friendly and well-receptive to tourists. Sherpa people dominate this region. 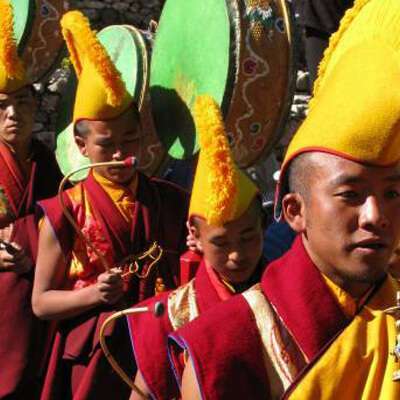 Tibetan Buddhism is the main religion of this region. Tibetan Buddhism encompasses a wide range of beliefs. This makes people more tolerant and well-mannered. There are various costs that come into play when you want to trek in the Everest region. You will have to buy all the necessary equipment. There will be costs of food, accommodation, as well as trekking permits. Sublime trails offer you the 15 days Everest Base Camp trek at a reasonable price. You will get the full value of your money if you choose to trek with us. Lukla is the place from where your trek in the Everest region normally begins unless you are trekking to Everest Base Camp from the classic Jiri Route. There are no roadways that connect Kathmandu to Lukla. A flight is the only alternative. Lukla is a small town in the Solukhumbu district in Sagarmatha zone. There is an airport in Luka which is known as Lukla Airport or Tenzing-Hillary airport. This airport is of one the most thrilling airports in the world. The views of the mountains you can see during this trek are exemplary. Tengboche Monastery is the largest monastery in the Khumjung region. It lies within the premises of Sagarmatha National Park and has deep ties to its mother monastery known as Rongbuk Monastery in Tibet. This monastery could not have been located in a more beautiful location. On the backdrop of the mountain lies various mountains like Everest, Lhotse, Nuptse, Tawache, Ama Dablam, and Thamserku. There is a huge annual celebration in this monastery during the Mani Rimdu festival. Lots of Buddhists and trekkers come to this destination during this festival to receive the blessings of the Lama. Kala Patthar is the highest point along your trek. It lies at an altitude of 5643 meters compared to the altitude of Everest Base Camp, which is 5380 meters. Kala Patthar translates in English as “Black Rock”. After the visit to Everest Base Camp, trekkers set out early in the morning to Kala Patthar to view Mt. Everest closely. Due to the geography of this region, the views of Everest are blocked by Nuptse while trekking in the surrounding areas. Kala Patthar is the most wonderful spot in the Everest region for viewing Mt. Everest. Everest Base Camp is considered to be the Mecca of trekkers. Annually thousands of trekkers grace this region and challenge themselves to trek to the Everest Base Camp. One thing worth noting is that Mt. Everest is not visible from the Base Camp. While you trek to the Base Camp, you will be able to see the Khumbu glacier. Note: If you want to manage your own hotel accommodation in Kathmandu and deduct some services from a given package, Please let us know we deduct the cost from our total cost when you deduct the services from the package. Or if you want to change the grade of the hotel in Kathmandu then let us know, we will settle this too. Our representatives from Sublime Trails will be there at the airport to receive you at the airport. They will be carrying the board of Sublime Trails that will help you locate them better. They will take you to a 3-Star hotel in Kathmandu where you can take a rest after a long and tiring international flight. If your energy levels are high, then you can take a walk in the gorgeous tourist hub of Kathmandu known as ‘Thamel’. You can try out the various restaurants in Thamel that serve you wonderful food. On the second day of your trip, you will take an adventurous flight to Lukla in the early morning. Lukla is considered to be the gateway to the Everest region. The flight takes approximately 40 minutes to get to Lukla from Kathmandu. The airport has a small runway and is located at the top of a small hill. In case of inclement weather conditions, the flight might be subject to delay. Especially in case of heavy rainfall during the monsoon or thick fog in winters the flight might not take off on a given day. You should make preparations for such delay and keep your timings flexible. After you land in Lukla, you will trek to Monjo. Lukla is located at an altitude of 2860 meters while Monjo is 2850 meters high. Therefore there is no uphill trekking on this day. The trail is almost flat with a slight touch of declination in the final portions of the trek. Monjo is an alternative resting spot to Phakding. Monjo lies just below Sagarmatha National Park entrance and checkpoint. The village is a great stop for tourists and has many guest and tea houses. At Monjo, you will have your breakfast and start your trek. For the trek, you have to pass through Sagarmatha National Park. The first hour of the trek trail will be pretty flat. After almost an hour, you will reach a suspension bridge. After crossing the suspension bridge, you will trek uphill. Along the way, you can catch glimpses of Mt. Everest and the surrounding mountains of the Everest region. In the final 20 minutes of your trek, you will walk up a sharp uphill. These will be the most strenuous part of your trek. After trekking up the slope, you will reach Namche Bazaar- the Capital of Sherpas. You start your trek in Monjo, which is 2850 meters in altitude. Namche has an altitude of 3440 meters. This means that you will gain an altitude of around 600 meters this day. This gain in altitude corresponds to 5 miles or 8 kilometers of walking distance. It will take you about 5-6 hours to trek up this altitude. The trek from Namche to Tengboche will take you alongside Dudh Koshi river, whose waters are glacial. The trek will also take you through small Sherpa settlements and lush rhododendron forests. Along the way, you will also have a chance to catch glimpses of spotted deer and various birds in this region like colorful male Danphe, which is the national bird of Nepal. After that, you will descend into the Imja Khola valley. From there you will walk uphill for 2 hours through conifer and rhododendron forests before reaching Tengboche. Tengboche is home to Tengboche Monastery. It is an important place to observe and learn the Buddhist tradition and culture of this region. You will spend the rest of the evening and the night in this Tengboche. The initial part of the trekking trail descends down to Debuche. Walking further, you will reach a suspension bridge over Imja Khola. Finally, you will climb over thousands of mani stones. These stones have great religious significance. You will eventually reach the beautiful village of Dingboche where you will spend your night. Dingboche is the first point during your trek where you will cross the 4000-meter mark. It is an excellent point for viewing mountains of the Everest region like Lhotse, Island Peak, Ama Dablam and many others. This is another day of acclimatization in the Everest region. As Dingboche is the first place in your trek which is above 4000 meters, you will have to spend your day acclimatizing. As a part of acclimatization, you will trek up to Chhukung. You will follow a trail from Dingboche to Chhukung through Imja Khola valley. You can spend your time photographing the Himalayas that is visible from Chhukung before returning back to Dingboche. This day’s trail will take you alongside the moraine of Khumbu glacier. You will first trek uphill and then downhill to reach the village of Thugla. This village is located at an altitude of 4600 meters. From Thugla, you will trek past pasture lands and reach Trekker’s aid post in Pheriche at 4240 meters. This is an excellent location for admiring the beauty of Khumbu icefall and Pumori against the background of other beautiful Himalayan mountains. From here, you will trek through a steep uphill to reach Lobuche, which is located at an altitude of 4900 meters. Lobuche is a quaint village that is located at the base of the giant peak of Lobuche. The trek of this day will be a bit difficult as you will ascend to an altitude of more than 5000 meters. The trail is uphill will also make your task of trekking this day difficult. But if you go slowly and manage your energy, you will reach to the Everest Base Camp. 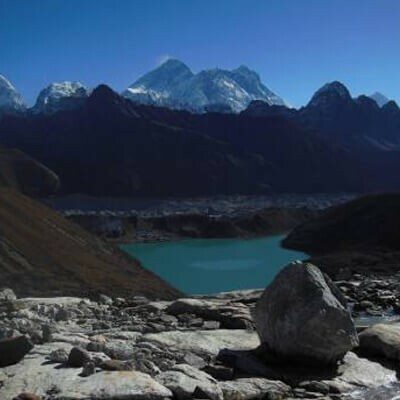 You will trek alongside the Khumbu glacier for 3 hours and reach Gorakshep. Gorak Shep is a frozen lakebed that provides spectacular views of the Everest, Nuptse, Pumori and other peaks of the Everest region. Every second you spend here will be worth the time. A four-hour trek from Gorak Shep will take you to the most awaited part of your trek- the Everest Base Camp. From here, the views of Khumbu icefall is great. During the months of April and May, you might also encounter some people who have come here for mountaineering expeditions. This day will also be a challenging trekking day as you will go to the highest point along the trek- Kala Patthar. It will take you about 2-3 hours to get to Kala Pathar from Gorak Shep. Most trekkers take off early in the morning to catch a glimpse of sunrise from Kala Pathar. The fresh morning rays of the Sun hitting the mountains will be a sight to behold. From this day, you will drop a lot of altitude during your trek. From Pheriche, you will reach Namche Bazaar after walking downhill through rocky mountains for around 7-8 hours. This will be the last day of your trek. You will descend from the capital of Sherpas- Namche Bazaar to Lukla. During the latter parts of the trek, you will be able to see mountains of the Everest region in a distance. You will be able to catch spectacular views of the Everest region during your vantage point of a flight. The flight will last about 40 minutes. As you have trekked close to 2 weeks, you must feel tired after the flight. You can spend this day resting in your hotel or shopping for souvenirs. This day will come in handy if there are any flight delays due to bad weather in Lukla. 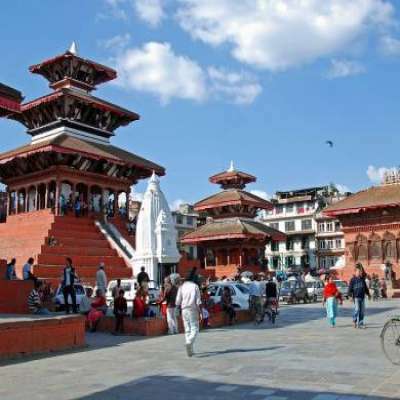 We can also arrange a sightseeing tour in Kathmandu if there are no delays due to weather. After spending 2 full weeks in the mountainous country of Nepal, you will head home. In case you want to spend more time exploring other destinations in Nepal, Sublime trails will be more than happy to serve you. A well-experienced guide, an assistant guide, and a porter during the trek. All necessary insurance for the crew of Sublime Trails. Bus, car and jeep service during the trip. Salary, food, and accommodation for Sublime Trails’ crew. Emergency evacuation assistance service. However, helicopter or necessary transport and hospital cost should be paid by clients themselves or by clients’ insurance company. Extra night accommodation in Kathmandu because of early arrival, late departure, and early return from the mountain due to any reason than the scheduled itinerary. Personal expenses that might include phone calls, internet, laundry, bar bills, battery recharge, extra porters, cold drinks, bottle or boiled water, hot shower etc. All alcoholic and non-alcoholic drinks and drinking water during the trip. Chocolate, dessert, and sweet items. Tipping for the crew of Sublime Trails. BK (Bikram), Ram and the team were amazing and the best people we've ever met in our trekking to Everest Base Camp. This is our 1st trekking trip in Nepal so we didn't really expected much other than walking for long hours. The whole journey was amazing in its own way, BK (our mountain guide) and the porters were really amusing and taking good care of us. The trek is so beautiful and the team is very experienced. This is the best Nepal holiday we've had so far and can't wait to come back for another trekking trip with Ram and BK. Sublime provides 5 stars service! Every time I think about trekking there always comes a name and that is of Sublime Trails. Before going to EBC 15 days trek I had already gone to Langtang trek and Annapurna Base Camp trek with them. When I was planning for the trek Ram helped me to organize my plans for having a great trek. I already had memorable treks with them but compared to this trek they were just a drop of water in an ocean. They were already providing great service when I first went with them but they were not settling at that level. They were improving themselves every time to provide fantastic trekking experience at low cost. Ram and I went for the trekking 3rd time and he was the boss for me since he was always 10 steps faster than I thought. He had seemingly unrivaled contacts in every trekking routes to get things done during the trek. He was excellent at giving every bit of information and was always sensitive to how I coped with the trekking. So he was a super guide for me and so was his company. This agency has been giving its best service to every client they have worked with and I would absolutely recommend Sublime Trails to anyone visiting Nepal: to have Sublime trek at the reasonable price. I and my Wife went to Everest Base Camp 15 day trek through Sublime Trails and we had a great time when we were in Nepal. For the beginners like us, this trek was hard enough to give up on the half but our guide Ram took care of us and encouraged us to go further to complete the trek. We finally completed the trek and found that it was completely worth of all the hard work done to reach there. Without our guide Ram and our porter, we wouldn’t have been able to complete the trek and enjoy the natural beauty of the mountain vistas. During the whole trip, I was the slowest in our group but they never left me behind and they always supported me every time. The mountains were splendid and our guide Ram was so much knowledge that he told and made us remember every detail of all those mountains which astonished us. The trek was physically challenging for me but Ram did a great job of taking care of me and he even made sure that we acclimatize properly so that we would not suffer from altitude sickness. He was the renowned person since due to his presence we were welcomed with much greater hospitality than others. He arranged great accommodations and lovely food for us. Remembering these memories makes me want to go to Nepal again and have an enjoyable trek with Ram. So definitely I would recommend Ram and Sublime Trails if you want to trek in Nepal. We had a 15 days trek to Everest Base Camp with Sublime Trails. The trek was well organized and literally, it was perfect for us. They served us really well from the time of pick up at Kathmandu till our departure. Our guide Hari and our porters were really caring and looked after us in every step. They helped us to properly incline higher altitude without getting Altitude sickness so we all were able to reach to the base camp and get the majestic view of the Everest. I would definitely recommend Hari and Sublime crew to anyone who wants to trek in Nepal. Our group of 12 people including me went for 15 days Everest Base Camp trek with Sublime Trails. It was a great trekking experience which made us think about returning back to trek again in Nepal. I was trekking for the first time while my other friends had already trekked in Nepal with Sublime crews. For me, it was a new and unique experience and it was full of excitements in every step of our journey. It was well organized and we made it to the base camp only with help of our trek organizers. So, I would like to express my gratitude towards Sublime Trails and their crews for providing me with amazing memories of my first trek. Furthermore, I would like to highly recommend Sublime Trails for everyone to have a great trekking experience in Nepal. Everything was well organized and taken care of with Sublime Trails so we could just relax & enjoy our trek. From the moment we arrived at the Kathmandu airport our guide Rishi was waiting with a sign with our names on it. He shook our hands and greeted us with "Welcome to Nepal" Rishi and a driver took us to our lovely hotel in Kathmandu where we met with Ram, the owner of Sublime Trails, and paid for our Trek. Ram made arrangements for a city tour of Kathmandu for the following day which was great to learn about Nepal's culture. That night Ram met with us again to take care of any last minute preparations for our trek - hiring down jackets and sleeping bags, etc. Our trek to Everest Base Camp was incredible because of our awesome guide Rishi - he has an amazing sense of humour and loved playing cards and showing us his magic tricks. Our porter Kumar was full of energy and always smiling. Talking with other Trekkers on the trail we could easily tell we made the best decision to book with Sublime Trails. We loved that we had our own private tour, we weren't packed into a big group like other Trekkers and we planned our trek date completely around our travel plans, no set schedule. Ram and his team take care of everything beginning to end. When we returned to Kathmandu, Ram took us out for a farewell dinner to celebrate our accomplishment and provide feedback on our trekking experience. It's obvious Ram goes above and beyond to genuinely care for his customers. We highly recommend Sublime Trails for trekking in Nepal!!! Thank you so much to Ram for all the arrangements and to Rishi & Kumar for a fantastic trek!